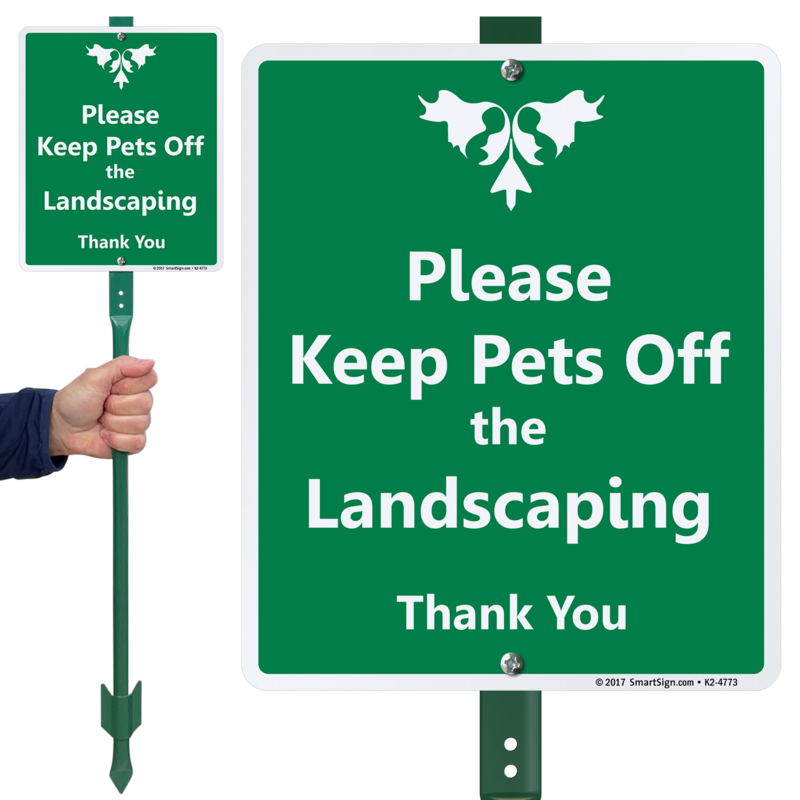 Please Keep Pets Off The Landscaping. Thank You. Do not have a spare wall, pole, or post to put up this 'Keep Pets Off' sign? 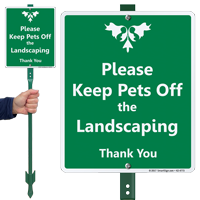 A LawnBoss Sign comes with a 3 feet tall stake and necessary hardware to install the sign in your lawns.